Millets are seen as a rarely eaten ancient grain in many modernized countries. Do you know that in some parts of Europe, Asia and Africa, millets are neither ancient nor rare? 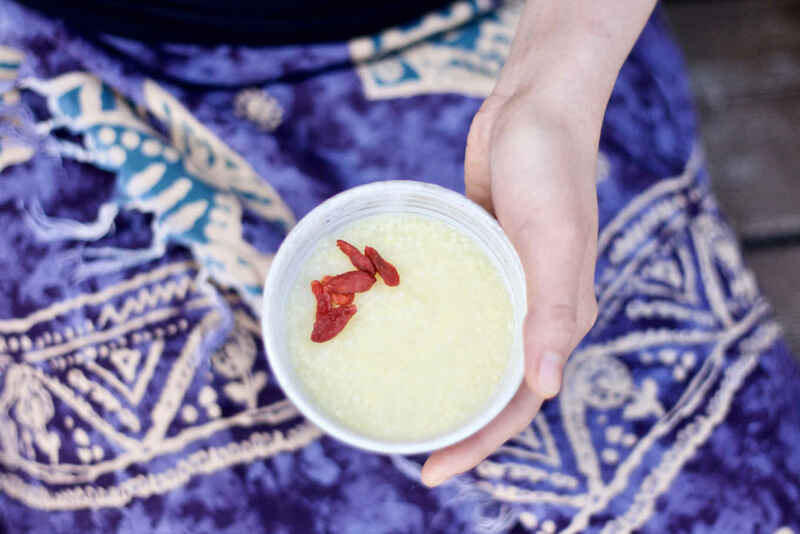 In Traditional Chinese Medicine (TCM), millet porridge is regarded as a healing food for postpartum and digestive health. Millets are highly nutritious and beneficial in treating physical weakness and stomach ailments like ulcers and indigestion. According to wikipedia, millets have been cultivated in East Asia for over 10,000 years. Many different varieties are grown around the world. In recent years, millets are getting a lot of attention among those who follow a gluten-free diet. I grew up in Beijing where millets are staple foods in Northern China. Not only Chinese eat millets regularly, millets are regarded as a healthy and healing grain (technically a seed, more on this later). 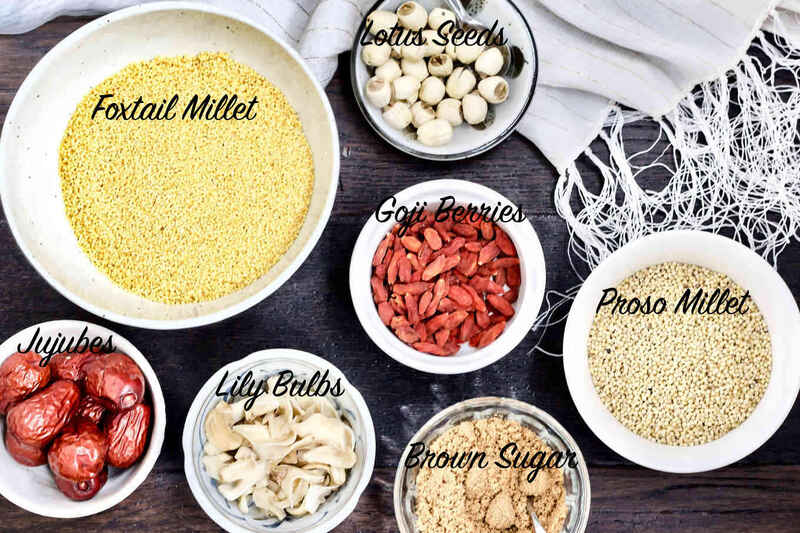 According to Traditional Chinese Medicine, millets support digestion, improve appetite, nourish Qi and blood deficiencies, increase lactation, harmonize the stomach, and calming the sleep. Millets are particularly suitable for children, elderly, pregnant and postpartum women, and those who are sick. To be used as a healing food, millets should be cooked into a porridge. Although millets can be cooked like rice and into other forms as well, porridge is the easiest form to be digested and assimilated by the body. Millet porridge is frequently eaten to protect and heal digestive systems, stimulate appetite and to ease the symptoms of stomach ulcers. Eating porridge is a huge part of Chinese food culture that focuses on foods as nourishment guided by the principles of TCM. Porridges are extremely popular and essential in Northern China, as soups are in Southern China. The healing properties of both porridge and soup have long been recognized and studied in Traditional Chinese Medicine. When the millets are boiled into porridge, the creamy skin-like layer formed on the surface is considered the most nutritious. Millet porridge is sometimes called the “alternative ginseng soup” in the folk culture. The explanation of this nickname is that although ginseng is extraordinary, one shouldn’t eat it often; although millets are common, they are nutritious and can be consumed regularly. This really captures the essence of TCM in terms of moderation, balance and emphasis on daily nourishment over long period of time rather than using heavyweight herbs for immediate results. Regarding the concerns that millets could cause thyroid disorder (goiter), I don’t believe the amounts most people consume will be of any problem, especially in countries where millets aren’t staple foods. In east Asia where millets are consumed in larger amounts, people also consume a variety of sea vegetables in their natural diet, which support good thyroid functions. A diet that works is when we use the combination of foods as nourishment, eat in balance, moderation, follow common sense and some intuition. I have not known a single person who had thyroid disease from eating millets in China. Keep in mind that millets have been cultivated for over 10,000 years in Northern China, so genetically my ancestors are also adapted to eating them. 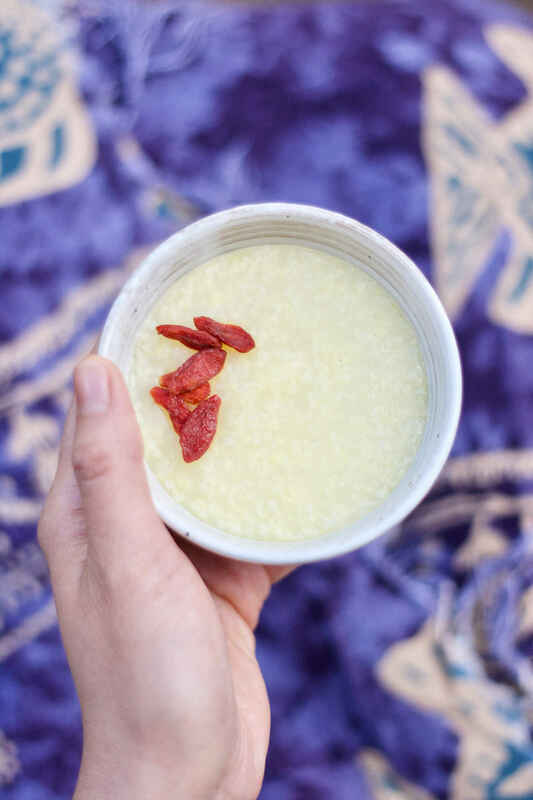 In most Northern Chinese families, a bowl of hot millet porridge as part of breakfast or supper is a common scene. Often the millet porridge is enjoyed plain, made from just millets and water, to accompany other meat and vegetable dishes. Millet porridge is so comforting and nourishing, I still make them weekly in my Canadian kitchen. You can find the basic millet porridge recipe at the end of this article. Beyond the basic, there are various versions of the millet porridge made by pairing millets with other ingredients of medicinal properties. Millets, jujubes and (un-refined) brown sugar porridge is a classic traditional recipe for postpartum women to nourish the Yin and blood. Millets and pumpkin porridge is one of the most popular everyday porridges to nourish digestive system. 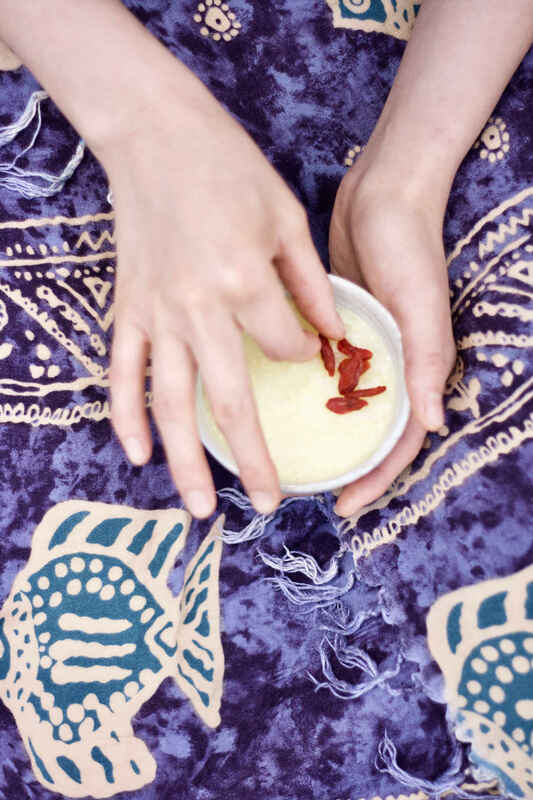 In Traditional Chinese Medicine, there is a blurred line between foods and medicine. Food ingredients are categorized according to their medicinal nature, while medicinal herbs are frequently used in daily foods. 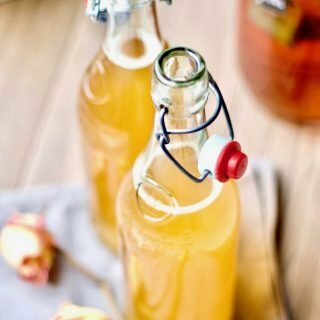 In healing recipes, ingredients are very carefully chosen for the most effective combination to maximize nutritional values and to achieve the healing goals. Technically, millets are not grains, but seeds of a family of grasses. Therefore, the millets you find in the grocery stores could come in different varieties depending on what kind is cultivated by the farmers. The packaging never list the type of millets, and the store staff generally aren’t aware at all that there are different varieties of millets. It is helpful to know what you are looking for. The most common variety grown in China and used in this millet porridge recipe is the foxtail millet. Foxtail millet is golden yellow with a soft and creamy texture and taste. I highly recommend using the yellow creamy foxtail millet for porridges – it is super delicious and makes a huge difference. You can find foxtail millet easily in Asian grocery stores. There are even organic certified brands available in Toronto. 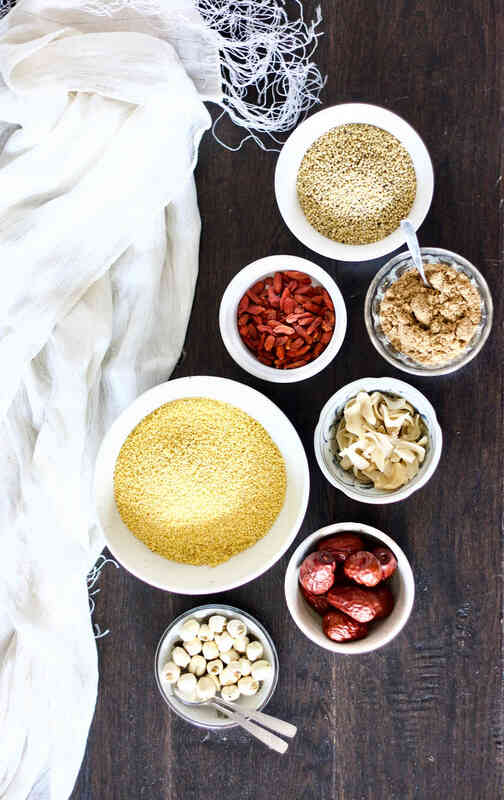 Regular grocery stores in North America may carry foxtail millet, but more often they will be selling proso millets, because proso millet is the most commonly grown millet variety in the USA. In Toronto, I haven’t yet come across Canadian grown millets at all. Proso millet is pale yellow with a rougher texture and a woodier taste than the foxtail millet. Proso millet may not make the best creamy porridge, but is still good for making millet rice and salad. There are a few other varieties of millets out there, but they are even harder to find around. Millets are seen as a rarely eaten ancient grain in many modernized countries. Do you know that in some parts of Europe, Asia and Africa, millets are neither ancient nor rare? In Traditional Chinese Medicine (TCM), millet porridges are regarded as a healing food for postpartum and digestive health. Millets are highly nutritious and beneficial in treating physical weakness and stomach ailments like ulcers and indigestion. Rince the millets with clean water. Cover the washed millets with 4 cups of water in a pot. Add more water if you prefer thinner porridge. Bring the pot to a boil and let it simmer with lid on for 30 mins. Stir once in a while to prevent the millets from sticking. The ratio of millets to water is based on the use of foxtail millets. If using other variety of millets, they may not make creamy and thick porridge. Make ahead tips: I love using my zojirushi rice cooker's porridge setting to make millets porridge. Set the ingredients and timer the night before and the porridge will be ready for breakfast when you wake up the next morning. Instant Pot is another good option to pre-program the porridge the night before. Hi, can’t wait to try this. I was speaking to my TCM doctor about foods for health in autumn /winter (here in Australia ). And asked him for some herbs /ingredients For a congee or soup. 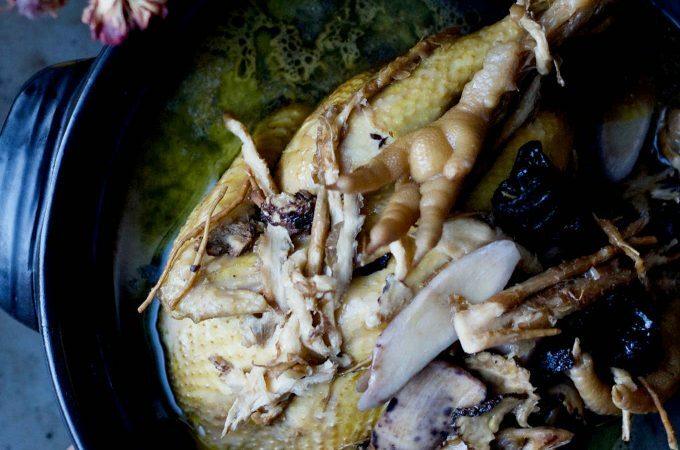 I will make this for sure & then do a soup as well with whatever herbs he gives me to add. I’d like to add the goji berries & Chinese dates as your picture suggests but not sure how or when to add them? Do I cook them with the Millet for the 30mins & do I chop up the dates first? Thank you, Lisa! Yes, you can cook the dates and goji berries in the congee, no need to chop up. 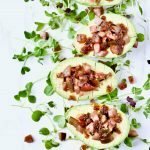 I wanted this recipe to be simply, so I didn’t include steps for added herbs. Thank you for the request. I will add the pumpkin porridge on my list to write up in the coming months. If you want to get notified for updates via email, I do have a blog newsletter. LOVE millet. Looking forward to trying your recipe! Thanks so much for the great post!! This post reminded me of when both my children were born and my mother came to help out and brought with her all the makings for this millet porridge. I remember how quickly I recovered right after the births and attribute it to these magic porridges. My mom and her family are from northern part of China, too and you just reminded me of this porridge dish. We have this porridge quite often in Taiwan and it’s absolutely delicious ! 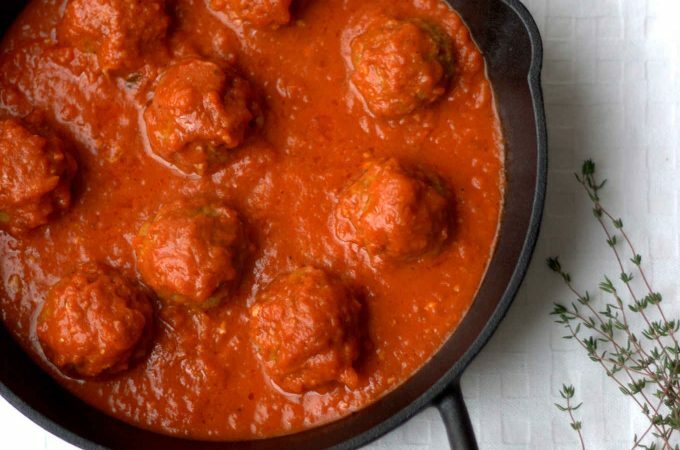 Thanks for putting this recipe together. Even though I’m strictly gluten free, I’ve been tending to avoid all grains. Maybe I shouldn’t be afraid of millet, since it’s technically a seed. It’s great to learn about the nutritional benefits for stomach ailments! Wow, such a comprehensive post on millet. 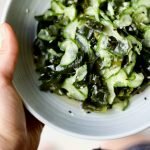 I have used millet many times to make cold salads and it’s delicious. I love the idea of a warm bowl of millet porridge and cooking it like oatmeal! Thanks so much for all the great info! I love millet but never knew too much about it, I love it in everything from porridge to muffins! I don’t often eat millet and have never had it in a porridge but it looks and sound delicious, especially as a healing comfort food when feeling ill or coming down with something. Thanks for sharing! 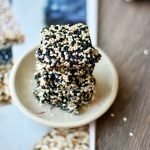 I’m not a millet fan but your post makes me want to try it. Mmmm! I love millet, and I just so happen to have some. I’ll have to give this a try! This is so helpful! I’m really glad you cleared up some of the misinformation about millet and its relation to goiters. It’s too bad that an entire food is demonized because of info like that. What a nourishing, healing porridge! Such a helpful, informative post, Yang. I wonder if you have ever observed millet being soaked in acidulated water overnight, then rinsed, before being cooked? Or in salted water overnight, because you mention it is more of a seed, to reduce antinutrients? Thank you, Megan! Some people soak millets, but I feel most people don’t. The cooking process also break down anti nutrients, and being the easy-to-cook seeds, millets turn really soft quickly with just boiling and are very easy on digestion. I am actually not 100% sure of the answer on this topic. If I dig up more information regarding soaking millets, I will come back to update! 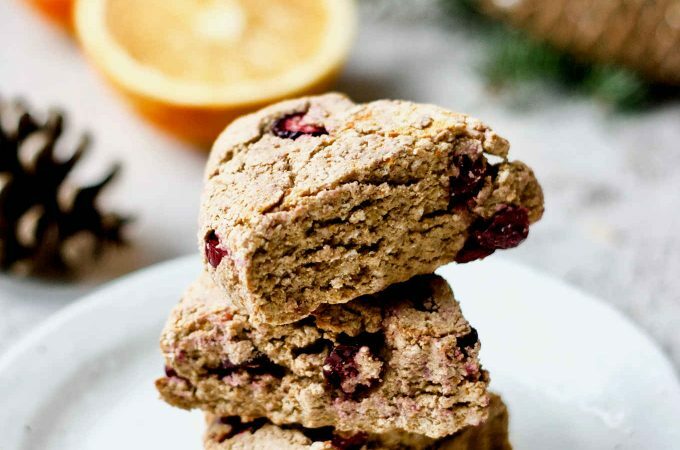 I saw in a documentary where millets are ground into flours, and used in Chinese bun making, in which process the dough was fermented overnight. I have also had Indian dosa, in which millet flour was added, although I don’t think it’s typical. Dosa is a fermented Indian crepe. 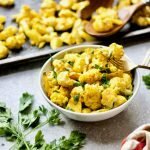 These are just examples of how millets can be used in such creative and various ways with traditional cooking methods. I can never stop being amazed! Wow! I love learning more through you. We have a jujube tree in our backyard and I never know what to do with all of them. This porridge sounds so nourishing! 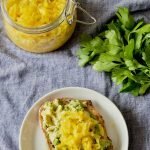 Such a lovely simple breakfast – my girls love porridge! 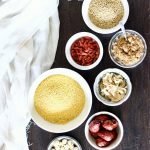 Would traditional Chinese cultures have soaked the millet before cooking and eating like other grains? Great question, Renee! I have come across some people soaking millets and many don’t, unlike other larger grains and legumes that are ALWAYS soaked. My guess is that millets are so easy to be cooked and broken down. Although I usually soak my millets, I can’t tell any difference in terms of digestibility.